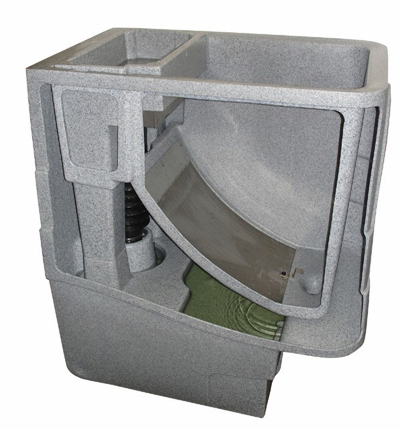 This Cetus sieve has a variable inlet height using the unique patented Pondflow regulation system – for use when gravity fed. This allows water levels within the pond to drop without causing the circulating pump to be starved of water. The Cetus sieve will allow a skimmer or a bottom drain to accept vast amounts of waste without excessive cleaning needed to be carried out. The water must then be pumped to either a normal filter above pond level (Nexus Eazy/Eazy Pod) or to a pressurised filter. It is advised that all Bead Filters be pre-filtered using a Cetus sieve to reduce excessive backwashing and maintenance due to heavy solids.